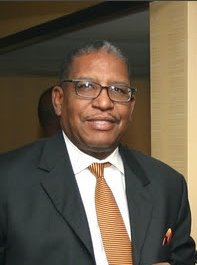 JOEL JACKSON, SR., 64, of Memphis, 1968 graduate of Melrose High School, alumnus of University of Memphis, real estate broker, retired manager of Service Merchandise, former employee of Express Jets, and known in Orange Mound as the "T Shirt Man" and owner of Melrose Place, died on Wednesday, April 29, 2015 at Baptist Hospital East. Joel Jackson,Sr. Citizenship Award/Scholarship Program and the Orange Mound Community Parade Committee (OMCPC) sincerely appreciates ALL Donations - large and small! Please consider supporting our efforts with a TAX-DEDUCTIBLE Donation! Anyone/everybody can donate ANY AMOUNT/ANY TIME to the Joel Jackson,Sr. Citizenship Award/Scholarship Program or to the OMCPC! Please CLICK HERE to donate ANY AMOUNT! All TAX-DEDUCTIBLE donations will be processed/used for programs/activities supporting either the Joel Jackson,Sr. Citizenship Award/Scholarship Program or the OMCPC! Donations can NOT be used for OMCPC Parade Registration Fees! All payments processed by the Orange Mound Community Parade Committee.